Ready to get smashed? Come join us Thursday & Saturday at the Fair to demolish some cars and trucks! BONUS: due to overwhelming success last year for the third year Brooklin is having a kids Power Wheels Derby! 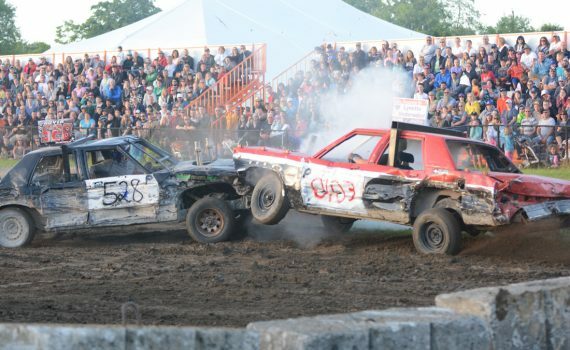 We are back to our regularly scheduled demolition derby program: Thursday and Saturday nights at the Fair! ***All classes EXCEPT Power Wheels - Power Wheels heat will take place during drivers meeting. Power Wheels start – 6:00 p.m.
Be sure to review both the general rules AND the rules for your class to avoid disqualification!